except #s 17 and 19 - 21.
except #s 01 - 03. BOTTOM LINE 15 W. 4th St., at Mercer St. (212-228-6300) Feb. 18: Before the sixties became the decade of love, Lou Christie (Lugee Alfredo Giovanni Sacco) had a series of Top 40 hits with such songs as "Two Faces Have I" and "Lightnin' Strikes." He trots out his patented falsetto in celebration of his sixtieth birthday. The 90 minute PBS TV concert special "Let's Do It Again!" (2001): Performing in front of a live Las Vegas audience on May 24, 2001, nine of the world's most popular, number one hitmakers came together for a revival of 50s, 60s and 70s music. Hosted by Frankie Avalon, the program stars LOU CHRISTIE, Marilyn McCoo, Billy Davis, Jr., Peter Noone and Herman's Hermits, B. J. Thomas, Lesley Gore, The Spinners, Bobby Rydell and Gary Puckett. Lou Christie's re-mixed 3:41 PBS TV version of "Lightnin' Strikes" (recorded live in Pittsburgh, May 2001) previously only available on the FOURTH CD of the PBS version of the Rock, Rhythm And Doo Wop: The Greatest Songs From Early Rock 'N' Roll box set. (3 CDs w/ No Tracks by Lou Christie). Lou's re-mixed 3:41 PBS TV version of "Lightnin' Strikes" (recorded live in Pittsburgh, May 2001) is only available on the FOURTH CD of the PBS version of the Rock, Rhythm And Doo Wop: The Greatest Songs From Early Rock 'N' Roll box set. The 38:15 Fourth CD has 12 live Tracks but only one by Lou Christie. & Producer TJ Lubinsky, see WQED.org. "Watch Your Heart After Dark" (L116). UK MOJO magazine #82 (September 2000) included Bob Stanley's excellent full-page piece about Lou Christie's 1971 Paint America Love LP. JESSICA JAMES AND THE OUTLAWS (= Denise Ferri, Bernadette Carroll and Peggy Santiglia) sang back-up on most Lou Christie MGM recordings including "RHAPSODY IN THE RAIN" (recorded January 8, 1966) which was BANNED in March 1966 because of the line "We were makin' out in the rain." The drummer on "We'll Be Makin' Out" plays several fills that recall Lou Christie's "TRAPEZE." Joey uses Lou's "Beyond The Blue Horizon" as his nightly "sign-off." "Tomorrow Will Come" (STEREO) also detected on the 16 track European Best Of Lou Christie (Pegasus CD 230, 1999). Marcie Jones recorded Lou Christie's "I'm Gonna Get Married" (Australia). Lou Christie did numerous live interviews during the pledge breaks of Doo Wop 50. Don't feel left out if you've never heard of "Burnzy's Last Call." Despite winning an award at the Atlantic City Film Festival and airing on the Sundance Channel, the flick hasn't exactly burned up the silver screen, despite a cooler-than-cool soundtrack and an ensemble cast that includes David Johansen and actors from "Law & Order," "ER," and "The Sopranos." Spearheaded-and largely written and produced-by Uptown Horns saxophonist Crispin Cioe, "Burnzy's Last Call" operates on a simple principle: well-known artists (Johansen, Deborah Harry, the Smithereens, Graham Parker, Evan Dando, et al.) are "cast" as fictitious one-hit wonders and asked to contribute original songs in the style of a predetermined performer. Approached in an appropriately lighthearted vein, the formula yields wonderful results, particularly in cuts by Johansen (the David Bowie glam send-off "Space Monkey" and the Louis Prima-inspired "I Want To Be At My Own Funeral"), Harry (the unabashed Mary Hopkin ripoff "So We Danced Again"), and LOU CHRISTIE, the only artist on the soundtrack who plays himself, contributing the tune "I CAN'T STOP THE RAIN." Other highlights include the Smithereens' Gene Pitney-esque "I Don't Want To Look In The Mirror" and the Four Seasons-patterned "What Will I Do With My Heart," written and performed by Smithereens drummer Dennis Diken and musical collaborator Pete DiBello. A great idea that makes you wonder why no one thought of it sooner. If you remember the teen dance shows on local TV hosted by Pittsburgh deejays Clark Race or Chuck Brinkman, you might want to see "Pittsburgh Bandstand," premiering at 8 p.m. Wednesday on WQED (Channel 13). Two back-to-back half hour shows will include 50-somethings and older couples dancing to classic Pittsburgh oldies at the Linden Grove in Castle Shannon. Or "groovin' at the Grove" in South Hills-speak. The headliner is Pittsburgher Lou Christie, who is from Glenwillard, singing "Two Faces Have I," The Gypsy Cried" and "I'm Gonna Make You Mine." These three monster Pittsburgh hits originally were recorded in a studio above a National Record Mart on Grant Street, says the show's host and producer, T.J. Lubinsky. "Pittsburgh Bandstand" will air every Saturday from 6 to 6:30 p.m. If the voiceover announcer on the show sounds vaguely familiar, it's because Hank Simms also was the announcer for several classic Quinn Martin TV shows such as "Cannon," "Barnaby Jones" and "The Streets of San Francisco." Lou's Bubblegum smash was the perfect accompaniment to days bunked off school in the corner cafe. The falsetto washed the tea down, the harpsichord and bicycle bell percussion soundtracked the daydreams. The A-side was penned by Tony Romeo, then of The Trout, later to rack up hits with The Partridge Family. The flip was written by Christie and his Gypsy Queen sidekick, Twyla Herbert. At a gig in Birmingham two years later, Lou met Miss UK, Frances Winfield, and duly popped the question. Moon Twp's Lou Christie ("Lightning Strikes," "The Gypsy Cried") sings during tomorrow's Pittsburgh Steelers' halftime break. In turn, Steelers have been invited to go over to Mellon Arena to sing with Lou, who's headlining "The Pittsburgh Holiday Reunion" concert. That lineup, put together by Richard Nader (from Fayette County, who many years ago got the oldies concert ball rolling in New York City), also features The Drifters, Penguins, Eddie Holman, Frankie Ford and others. Music begins at 5 o'clock. Lou Christie 'Hollywood Squares' episodes re-run. on Hollywood Squares, January 9, 2002. Popular syndicated game series Hollywood Squares brings a select group of music legends together for a special "Classic Music Week," airing nationally on January 7-11, 2002. In addition to testing their tic-tac-toe skills, music legends LOU CHRISTIE, Dionne Warwick, Frankie Valli, Pat Boone, Mary Wilson, Martha Reeves, James Darren, Gary Lewis, Little Anthony, Sheena Easton, Mark Lindsay, Ronnie Spector, Freddy Cannon, Marilyn McCoo, Billy Davis, Jr., Gary Puckett, Gary U.S. Bonds, Lesley Gore and Mitch Ryder literally have lent their "names" to one of the world's oldest and most beloved charities, Helen Keller Worldwide. Each of the musicians/singers has autographed a collector's edition vintage 1959 Continental 2 Stereo jukebox and autograph book, which will be auctioned off separately on eBay.com during January 10-20, 2002, with all proceeds benefiting Helen Keller Worldwide. It is a great honor to be inducted into the Hit Parade Hall Of Fame. I want to thank all my fans and friends for their continued support. What a nice feeling to see how the music of our time has kept us all together. Starting on a small label in Pittsburgh, having my Dad drive me to record hops for Clark Race, Chuck Brinkman or "Pork the Tork"...my path was already chosen all the way up the charts and around the world. They say vinyl is making a comeback - I'm ready, are yuns? Thank you, again and again and again! Why this fab collection really had to be issued was to prove that at one point in the 60s, one man and one man alone saw fit to force his back-up singers to bark in unison like Chihuahuas. And when you get right down to it, Outside The Gates Of Heaven and Cryin' In The Streets, loaded with such percussive effects, could have been written by Morrissey last week. A perfect rock n roll singles singer, with that unforgettable high voice. It's no accident his songs stuck in Bruce Springsteen's head and they're all here. Richly layered, complexly structured records like Rhapsody In The Rain are landmarks in the evolution of a tradition of delirious production-number pop that stretches from Spector right up to Scritti Politti's latest, the intoxicating Boom! There She Was... [Christie's] music remains at least as vital and reliable a force in the pop universe as teen lust. The resulting sound is immense. It's also powerful. Sometimes frighteningly so: Lightnin' Strikes, which topped the charts in '66, offers both the most ornate and the most ominous romantic dismemberment here. A tinkling church piano beckons you into this sandstorm of drum rolls and horns and raspingly rough-hewn guitar itches, and Christie's contradictory diatribe revels in extreme emotional instability. I've got a new project that I would like to share with you. I have written and recorded a song in Italian [NON SO PERCHE] and I would like to perform it at the Sanremo Music Festival in Italy next Spring. If you like the song and think I should sing it at the music festival in Sanremo I would appreciate your feedback. Please post your comments on YouTube at www.youtube.com. What's your favourite girl group song? But with so much glorious competition, what is the song that gets my nod for the controversial title of best girl group song ever? Well, readers, it has to be the breathtaking, foot-stomping, soul-shaking, Egyptian Shumba by the Tammys. Who? I hear you say. The little known Tammys were originally backing vocalists for Mr Tenor Man himself, Lou Christie, before they broke out on their own and recorded the mesmerising Egyptian Shumba in 1964. From the very first bar you instantly realise you are hearing something special, and as soon as the girls belt out the classic line, "Last night I dreamt I was on the Nile, dancing with you Egyptian style", all hell breaks loose. The instruments start freaking out, the production goes into overdrive, and the girls start screaming and grunting until you no longer know where you are. Caption: PHOTO: RPM Records/Associated Press: The front of the album featuring Lou Christie & The Tammys, "Egyptian Shumba: Singles And Rare Recordings 1962-1965." The Tammys' soprano harmonies managed some Pittsburgh and Cleveland radio play in the 1960s, but were mostly forgotten until their music was reissued on "Egyptian Shumba" in 2002. GIRL GROUP SOUNDS, LOST & FOUND (Rhino), an incredible 107-artist, 120-song, four-CD boxed set featuring the US CD debut of THE TAMMYS' EGYPTIAN SHUMBA - Stereo (2:27) (Disc 2, Track 27). A labor of love from Sheryl Farber and co-producer Gary Stewart, ONE KISS follows in the tradition of Rhino's revelatory, genre-defining boxed sets like Nuggets, Beg, Scream & Shout: The Big Box Of '60s Soul, and Loud, Fast & Out Of Control: The Wild Sounds Of '50s Rock by bringing listeners dozens of shoulda-been-classics. And Rhino has given this boxed set the kind of over-the-top packaging it deserves. ONE KISS CAN LEAD TO ANOTHER: GIRL GROUP SOUNDS, LOST & FOUND comes in a mod black-and-white hatbox, while the four digipak CDs inside resemble '60s makeup compacts, and the book, which contains essays by Gerri Hirshey and Gene Sculatti and a track-by-track by Sheila Burgel, looks like a girl's diary. It's not just that this girl group's gone wilder than any garage band on the list -- it's that they're possessed. The Tammys bop hard and bratty, but by the chorus they're literally growling, barking, and squealing like sexed-up hyenas; in the bridge you can hear them shudder and jerk their way into a frenzy. It's their party and they'll scream if they want to. The Chiffons, Lesley Gore, The Shirelles, The Ronettes, The Angels, they're all here; however, the secret weapon of the set is the songs you would never hear if not for Rhino. For instance, "Egyptian Shumba" by The Tammys is one of the most peculiar girl group songs I've ever heard, sounding like the modern freak folkers the Animal Collective produced the song as The Tammys' Chipmunk-harmonizing bleeds into refrains of backup singers mimicking shrieking monkeys. Catchy and eclectic, it would blow the minds of indie-music blogs everywhere if released today. 2/27. The Tammys: "Egyptian Shumba." Shimmy-shimmy-shimmy-shy-eye-missyness meets monkey noises. On the Nile. However, some of the most-fun moments on the set are the tracks that are nearly unbelievable in that they exist at all. The Tammys' insane "Egyptian Shumba" is filled with yelps and whoops that are nearly orgasmic. Add to that "The Peanut Duck," a dance single so odd that it didn't find release until a few years ago and the singer has still not been identified. But for all this talk about love, the real prize on One Kiss Can Lead To Another is "Egyptian Shumba," a goofball dance track about boogying along the Nile constructed by falsetto weirdo Lou Christie around a set of voices even squeakier than his own. They belonged to a group called The Tammys, and their squiggly harmonies and delirious yelps seem to point toward Rough Trade punks like Liliput and the Raincoats, and even more directly toward the B-52s' Kate Pierson and Cindy Wilson. And then, of course, you've got your weirder gems that never could have been a hit -- "Egyptian Shumba" by The Tammys chief among them. It's the box set of the year, and would be even if the package were only half as brilliant. Nitzsche is best-known as the arranger / conductor on most of Phil Spector's greatest hits, piano player for the early Rolling Stones and a studio foil for Neil Young. Nitzsche, who died in 2000, was a pervasive presence in Los Angeles pop music. This 26-song compilation foresakes his many hits for obscure gems and fabulous no-hit wonders. It is music of bipolar extremes: The cocky confidence of Gene McDaniels' "Walk With a Winner" is countered by the suicidal wail of "But Not for Me," which you wouldn't guess is Bobby Darin. Among other surprises: Lou Christie goes psychedelic, Frankie Laine is nearly hip, and Round Robin offers one of the catchiest novelty songs ever ("Kick That Little Foot Sally Ann"). Distributed in the United States by DNA and City Hall, this is music from a phantom jukebox that sounds collectively like a parallel secret history of pop. "Salute! The World War II Tribute Album" features popular songs from the World War II era performed by some of America's leading contemporary recording artists. The mission of The Tribute Album is to provide a lasting tribute to the exceptional generation of Americans who served both in the trenches as well as on the home front through a pivotal moment of American history. A portion of the proceeds from the sale of the Album will be donated to the American Experience Foundation to benefit America's veterans. 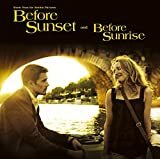 The 'Before Sunset' Soundtrack (combining tracks from 'Before Sunrise,' for which there was never a soundtrack album) is a romantic musical journey, featuring TRAPEZE by LOU CHRISTIE plus tracks by the film's star Julie Delpy, Johann Sebastian Bach and Henry Purcell plus Igor Kipnis, Loud, Harald Waiglein, Laurence Dreyfus and Kathy McCarty. Abbie Neal, one of the sweetest TV cowgirls of the 1950s, sang about landing "EZ Credit," rolling with the "Tumbling Tumbleweeds" and "Ridin' Down to Santa Fe." In her day, Miss Neal was a world-class fiddler and star of several live TV and radio shows throughout the Pittsburgh region. Miss Neal died Feb. 15 in Reno, Nev., of a cancer-related illness. She was 85. Born in Brookville, Jefferson County, Miss Neal learned to play music at an early age and by 7 was playing duets with her brother at nearby churches and grange halls. After winning a fiddle contest at 10, she studied classical violin and performed with the Du Bois Symphony. Her love of country music was overwhelming, however, and in two years she traded violin-style bowing for down-home fiddle scratching and joined Cowboy Phil's country band on Greensburg's WHJB radio, where she worked for 13 years. Miss Neal later led the Wilkens Westernaires, a radio band named for their jewelry store sponsor. As the leader of Abbie Neal and Her Ranch Girls, she hosted a show on WAMO radio when it played country, and starred on several daily TV shows at Johnstown's WJAC, Pittsburgh's WENS and WDTV, precursor of KDKA. In her Western-fringed skirt and Stetson hat, she projected a kindly, maternal image, her younger band mates respectfully flocking around her like chicks to a mother hen. Following a traffic accident that left her hospitalized for 16 weeks, Miss Neal moved to Nevada in 1958 and headlined at resorts in Las Vegas, Reno and Elko. She won a national women's fiddle championship, and played steel and acoustic guitar. Miss Neal performed for U.S. soldiers in USO shows in South Korea, Japan, Taiwan, Guam, Hawaii, Greenland and five tours through Vietnam. After a long stint at Las Vegas' Golden Nugget, Miss Neal retired in 1975. One of her early fans, 7-year-old Lugee Sacco, of Glenwillard, never forgot her. By 1966, Sacco had changed his name to Lou Christie and struck gold with his No. 1 hit "Lightning Strikes." In the late 1970s, after learning that she had retired in Reno, he called her. They forged a 20-year friendship that continued to her death. "Every morning before I went to school, I called her when she was a DJ on WAMO and requested 'If Again' by Doug Kershaw," said Christie, from his home in New York City. "I belonged to her fan club when I was 8 or 9 years old and I remember my dad taking me to the Allegheny County Fair and the WWVA Jamboree in Wheeling to see her. There was a kindness and sincerity that she projected, like the mother who didn't holler at you." Christie said the tight vocal harmonies of his 1960s hits, including "Lightning Strikes," "The Gypsy Cried" and "Two Faces Have I," were inspired by Miss Neal and her country-western contemporaries. "Because of her influence, I started listening to Hank Williams and other people in country who did those twangy, two-part harmonies," he said. "From there I graduated to The Everly Brothers and other bands, but my music has always had lots of vocal harmonies, and that goes back to Abbie Neal." After years of correspondence, Christie assembled dozens of snippets from Miss Neal's TV, radio and stage performances and produced what became her final album, "Abbie Neal and Her Ranch Girls," available only on his Web site at www.louchristie.com. "She was a true pioneer of country music," Christie said. "She was a very modest, very wise woman. Everything that she did she approached with an honesty, sincerity and kindness that you don't see anymore." Abbie Neal, a country musician who entertained audiences in Reno and around the world for more than 50 years, died Feb. 15 at Manor Care Health Services after a lengthy illness. A Pennsylvania native, Neal moved to Reno in 1958 when her band Abbie Neal and Her Ranch Girls were booked to play at the Mapes Hotel. She ended up calling the Silver State home and played regularly at the Riverside and Holiday hotels, plus venues at Lake Tahoe, Elko, Ely and Las Vegas. It soon dawned on me that there was the Mustang Ranch (brothel), so we changed the name to the Abbie Neal Show, she joked during a 2000 interview in the Reno Gazette-Journal. Her music career started when she was 8 years old after her brother taught her to play the violin. At age 12, she played for square dances with her brothers and cousins. A multi-talented musician, she specialized in the violin and steel guitar. Between 1944 and 1965, she performed for U.S. military troops in Korea, Japan, Taiwan, Guam, Hawaii, Greenland and in the South Pacific. She toured Vietnam five times. She ended her career in 1975 after a stint at the Golden Nugget in Las Vegas. After her retirement, she and several other retired musicians continued to entertain senior citizens at convalescent facilities, hospitals and senior centers in the Truckee Meadows. Before moving to Nevada, Neal had a radio show at WAMO in Homestead, Pa., and her own television show in Pittsburgh. In 1951, she was injured in an accident and spent 16 weeks in the hospital. Her fans in Pennsylvania rallied to help her. I got over 600 hankies and little kids were sending in their allowance to help me pay my hospital bills, she said during the 2000 interview. We donated that money to help the crippled children. The handkerchiefs were used to make a bedspread. She remained popular with her fans after retirement. In 1998, her longtime friend Joyce Linscott of Reno threw a surprise 80th birthday party for her. Neal received more than 700 birthday cards and dozens of flowers from family, friends and fans. She also received birthday greetings from President and Mrs. Clinton and letters from Pennsylvania Gov. Tom Ridge and Pittsburgh Mayor Tom Murphy. Neal was married to University of Nevada Hall of Famer Merrill H. (Mac) McKinnon for 27 years until his death in 1995. She is survived by a step-son, Barry McKinnon. A memorial service will be held at 11 a.m. Tuesday at the First Congregational Church, 627 Sunnyside Dr., Reno. Lou Christie studio guest on Little Steven's Underground Garage syndicated radio show. "Crimes Against Music" contains a GREAT version of Lou Christie's "If My Car Could Only Talk"
"Crimes Against Music" released in the US by Zip Records May 1, 2003.